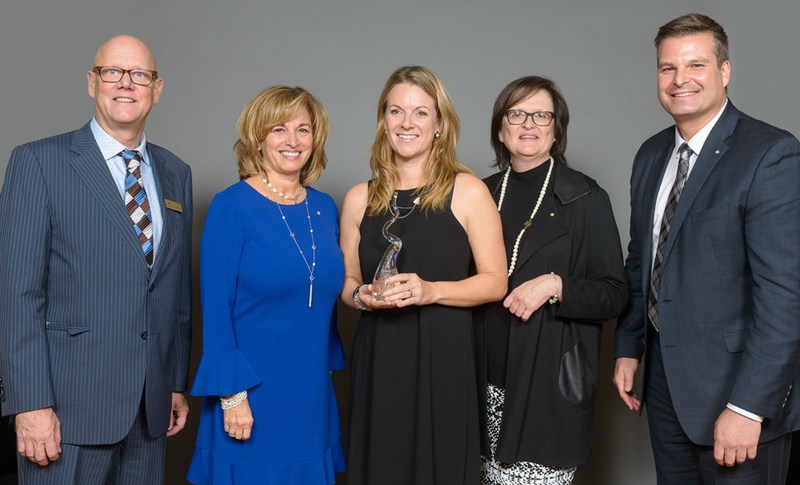 On October 19, 2017, during the 7th edition of the Unio Gala organized by the Chambre de commerce du Sud-Ouest de Montréal, Alexandra Pagé, owner of Glup, won the Business Personality, Woman of Exception distinction. This gala pays homage to businesses that demonstrate significant and sustainable commitment to business development while contributing to economic growth. “It sends the message that I am on the right path and it is very invigorating,” says Alexandra Pagé with excitement. Learn more about Gulp by following our Facebook page Renouveau Notre-Dame.